Rewriting their pasts! Gwen Stefani posted a photo of herself on Thursday, March 21, with boyfriend Blake Shelton from younger days that appears to be Photoshopped. The Instagram snap showed the country crooner, 42, as a young man with his arm around the former Voice judge, 49, who is wearing socks on her hands and has a headful of curls. The seven-time Grammy nominee seemed to like the image: He subsequently made it his Instagram profile picture. Shelton and Stefani didn’t actually meet until 2015 when they began filming their NBC hit together, while the “God Gave Me You” singer was going through his divorce from ex-wife Miranda Lambert. A source told Us Weekly in March that though the couple are ready to wed, they’ve put their plans to walk down the aisle on hold so that the No Doubt frontwoman can have her marriage to ex-husband, Gavin Rossdale, with whom she shares kids Kingston, 12, Zuma, 10, and Apollo, 5, annulled by the Catholic church. “Gwen’s religion has always been extremely important to her, and Blake is completely supportive of this,” the source explained to Us. 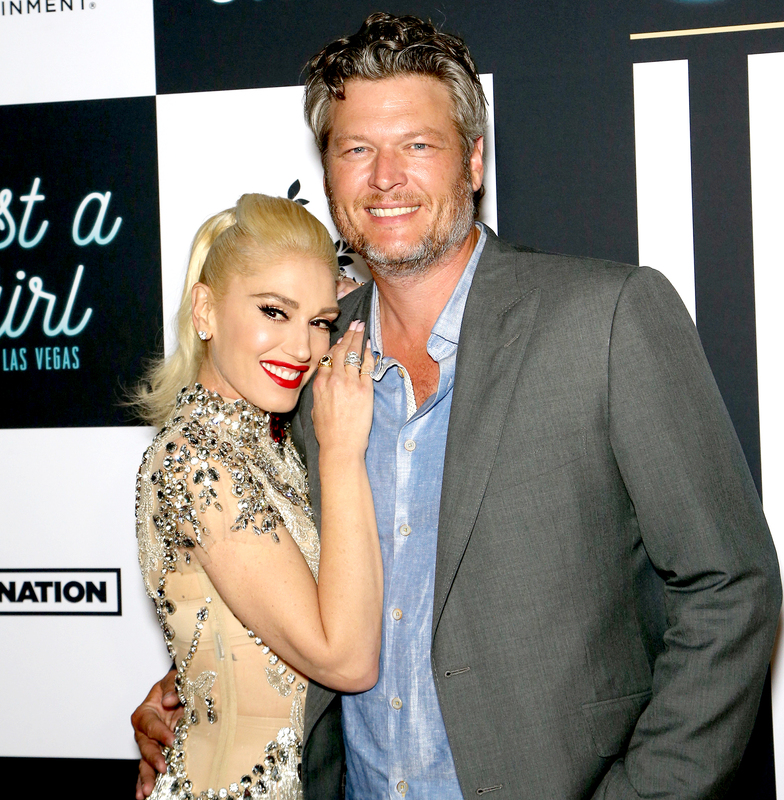 The couple are also busy ironing out other obstacles in their relationship, including the fact that Shelton still lives part-time in his native Oklahoma, while the “Baby Don’t Lie” singer is a full-time L.A. resident. “They’re willing to wait,” an insider told Us.